New and high quality Replacement laptop battery for PA3780U-1BRS PABAS215 Toshiba Satellite T115 T135 T130-14U T115-S1100 Series 10.8v 5200mah(Li-ion 10.8V 5200mAh) In Australia. Satellite T115, Satellite T115-S1100, Satellite T115-S1105, Satellite T115-S1108, Satellite T115-S1110. Toshiba PA3729U-1BRS,PA3730U-1BRS laptop battery, 87WH, 9cells Coming soon! 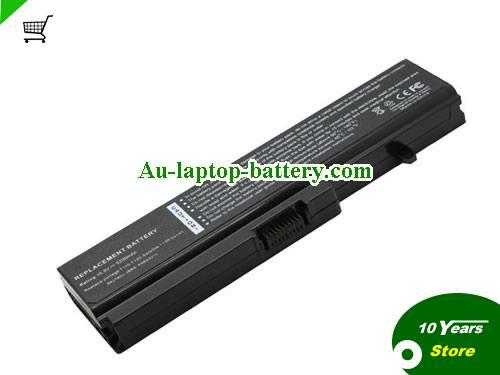 PA3780U-1BRS PABAS215 battery for Toshiba Satellite Pro T110 t110-13h t130-15f T130 T110-11U T130-03F T135Coming soon! Genuine PA3780U-1BRS PABAS215 Battery For Toshiba Satellite T115 T135 T130-14U T115-S1100 Series Laptop 6-CellComing soon!